It’s been a full year since the Chase Center, future home of the Golden State Warriors, broke ground in San Francisco’s Mission Bay. And now—at last—it’s beginning to take shape, with a visible arena oval, giving a clear sense of what’s to come. 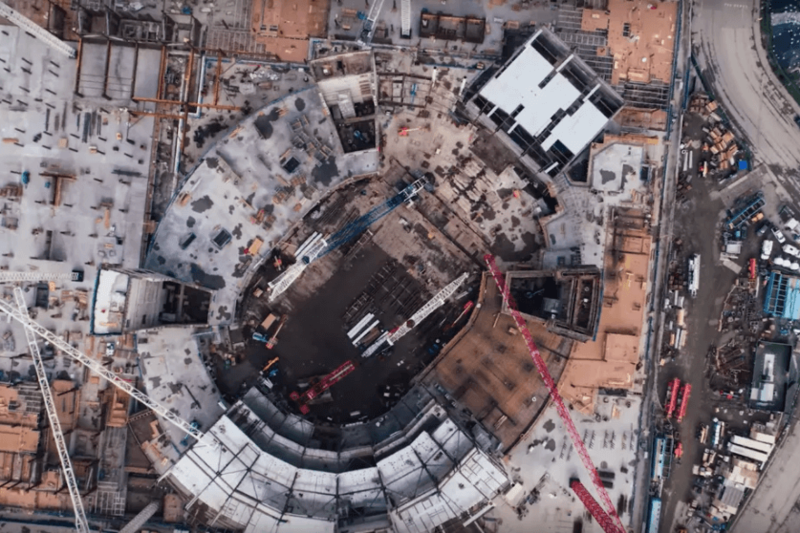 The Chase Center isn’t scheduled for completion until the end of 2019, so this project will take its time. Once completed, the 18,000-seat arena will also boast 100,000 square feet of retail and restaurant space, as well as five-plus acres of public waterfront park.